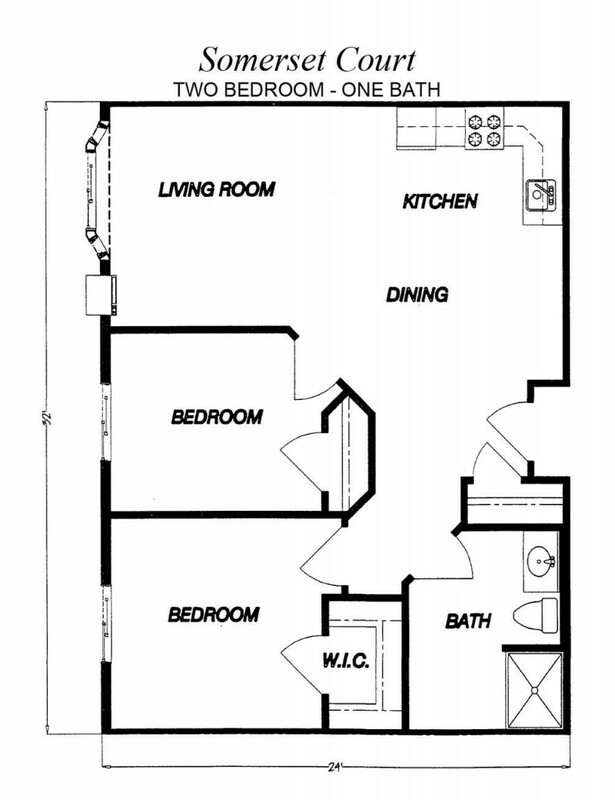 Somerset Court offers a wide variety of apartment floor plans. With studio, one -, two -, and three-bedroom apartments, you have the opportunity to enjoy spacious living conditions that meet your needs. When it comes to living space, we realize that every person is different, which is why our apartments aren’t “one-size-fits-all.” Somerset Court's apartments and their amenities have been designed for comfortable resort-style living. To see our apartment options first hand, call to schedule a tour or just stop in.